Product Runway is an avant-garde couture fashion design competition with a twist. IIDA Houston City Center’s Product Runway, influenced by the concept of the hit realty TV show Project Runway, is one of a handful of fashion shows of its kind in the country. Product Runway puts teams of interior design and architecture professionals and interior design students in a fashion design competition by creating handmade garments out of standard architectural finish materials such as glass, tile, carpet and wood. Product Runway promises to showcase eye-popping creations during a runway performance by each team on nearly 150 ft. of runway at Revention Music Center! Each of the 20 competing teams has been assigned one hard material and one soft material, which must collectively make up 80% of their final garment. 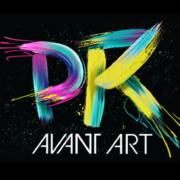 With this year’s theme: Avant Art, each team will be assigned a specific art movement with a correlating artist, as well as a piece of work from their artist that shows a true representation of that particular movement. The majority of a completed garment (approx. 60%) must be made of their hard and soft goods that are as close to the team’s assigned art movement and artist. Teams are encouraged to work with their garment label representatives to select goods that will best reflect their particular art movement. The assigned artist and image should serve as an abstract design inspiration. Within the portfolio submissions, each team will be asked to describe how their garment’s design relates to or interprets their assigned art movement and artist. Final entries, also modeled by a member of the design team, must be designed and constructed completely by the team. Our 8th Annual Product Runway Fashion Show is scheduled for Friday, April 22nd at 8 p.m. at Revention Music Center. Funds raised by the evening of inspired designs benefit the Houston Furniture Bank, a local non-profit that focuses on making houses into homes by providing furniture for families in need via 70 agencies in surrounding counties. IIDA Houston City Center’s 8th Annual Product Runway benefits the Houston Furniture Bank, a non-profit organization that is often referred to as the “charity of charities.” The mission of the Furniture Bank is to provide a more comfortable and livable environment, making empty houses homes for Houston’s needy families. The Houston City Center is proud to support an organization that is actively changing our community.